Welcome to Day #13 of Chocolate, Enchanted Islands and Pirates Theme Week. 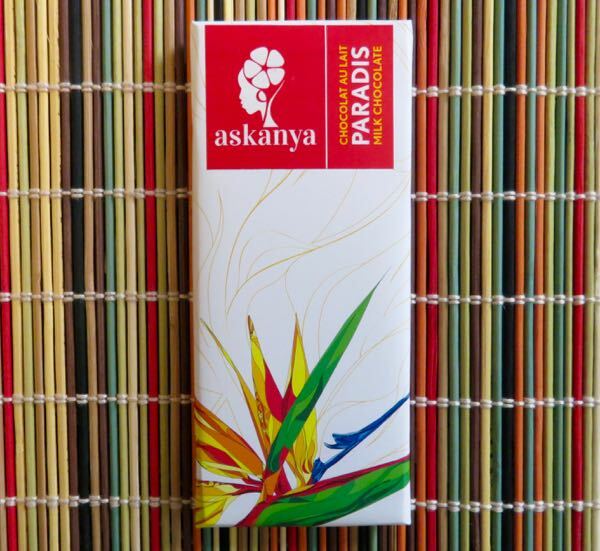 This Haiti Paradis 47% cacao bar was the last in the series of four bars from Los Chocolateries Askanya (Ouanaminthe, Nord-Est, Haiti). 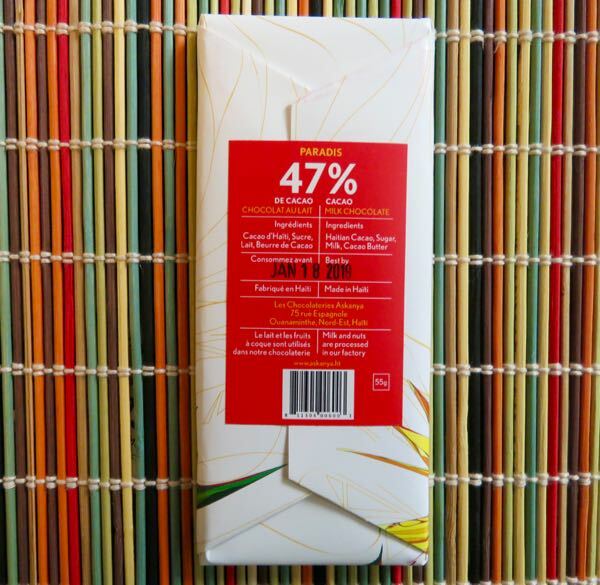 The bar was made in Haiti, using Haitian-grown cacao. 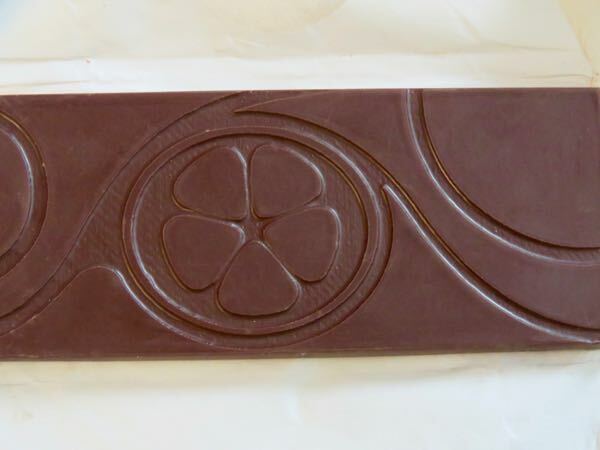 The previous three bars from this maker featured this week were dark chocolate bars. 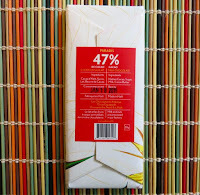 Today's Paradis 47% cacao bar was a delightful milk chocolate bar made with Haitian Cacao, Sugar, Milk and Cocoa Butter. 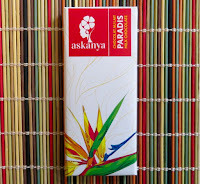 It was smooth, almost creamy, and sweet with an appealing light fruitiness to it. 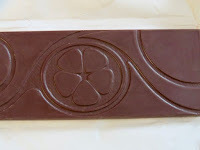 This was one of those milk chocolate bars that even a dark chocolate fan could appreciate.